is never quite as good as promised. It’s great when governments finally do the right thing, yet frustrating when they try but screw it up. Over a decade of Green Party policy, I’ve seen many Green ideas migrate into the platforms of other parties and even enacted by governments, who rarely carry it through the way Greens would. For example, the Ontario Liberal government started out with the best way to increase the use of clean renewable energy like solar, wind and biogas: a feed-in tariff. Basically, it guarantees that producers of clean energy can sell their product at a reasonable markup, which gets individuals and businesses the necessary start-up financing. It’s nothing unique to renewables, of course; nuclear, gas, and other electric producers also get guaranteed rates. By extending this mechanism to renewables, the playing field is levelled. Unfortunately, the McGuinty government screwed this up a few ways. At the smallest level, they keep adding more and more restrictions on the microFIT program: they limit the size of a solar installation to 10 kilowatts, they won’t allow installation on a second property, whether it’s a business, cottage, or rental house, and farmers with panels on poles or frames, instead of existing farmhouses or barns, get lower prices. It’s like they can’t decide if more solar production is a good thing to foster, or a bad thing to restrict! At the mega-level, they gave initial preference to major corporate producers, including a multi-billion dollar deal with Samsung. Only many years later did they partially address this through preferential opportunities for local community co-ops, which should have been the norm in the first place. The end result of these blunders was to unfairly stain the whole idea of renewable energy among the public. Similar problems are recurring around carbon pricing. 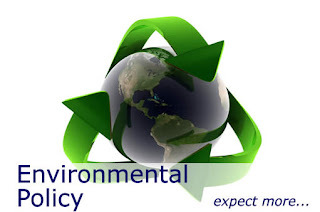 As most environmentalists and just about every economist will tell you, the best way to reduce climate destabilizing greenhouse gas emissions is putting a price on carbon pollution, so reduction becomes part of every economic decision at the business, institutional, or family level. Even Ontario PC leader Patrick Brown now endorses that approach. Yet as he notes, but as our Premier Kathleen Wynne seems to have missed, the best carbon price is revenue neutral, returning all monies paid to pollute back to the economy through a tax shift or a dividend. Although a carbon tax can be a “price on everything” (although not on many things that are carbon neutral), it can also fund a “tax cut on everything” or a poverty-fighting rebate to everyone. British Columbia showed the way; their carbon tax shift reduced pollution while economic growth continued without financial pain. Ontario and the rest of Canada should follow suit. Instead, though, Ontario is setting up a cap-and-trade carbon regime. Experience in other parts of the world predict this system will be complex, expensive, and hand unearned profits to the traditional polluters who got us into this mess in the first place, because they get free or discounted credits to use or sell. And as far as we can tell, the revenue will mainly be used to balance the budget, with some of it directed to emission-reducing projects like transit or efficiency. By making the carbon price a burden on the economy, instead of a boost to innovation and efficiency, the government besmirches climate action like it did renewable energy. And with a federal Liberal government that seems unwilling to provide any better direction (2008’s Green Tax Shift plan apparently wholly forgotten), it looks like the best we can hope for on climate policy is half-measures and unnecessary pain. Published as my Root Issues column in the Barrie Examiner as "Pain associated with climate policy"
Erich Jacoby-Hawkins is the vice president of the Robert Schalkenbach Foundation. Religion and Politics, oh my.